Nokia unveiled Tuesday its new N9 smartphone that runs the MeeGo operating system, and is being marketed as a "pure touch screen" device without buttons. The N9 will launch later this year, and the company will release later the device's pricing and availability in various markets, Nokia CEO Stephen Elop said at a company event in Singapore. Nokia said in February that it would establish a future smartphone strategy around Microsoft's Windows Phone 7, to help the company compete against Apple's iPhone and handsets using Google's Android operating system. The company said it would still put out during the year a smartphone with MeeGo, a Linux-based OS developed in collaboration with Intel. The Windows-based product is scheduled to ship later this year, Elop said. Nokia had earlier said the product would ship by the fourth quarter. Nokia also restated its commitment to the Symbian operating system at the event. The company said it will start shipping Nokia N8s, E7s, C7s and C6-01s with the new Symbian Anna software update in July. By the end of August, existing owners of these devices can also download Symbian Anna. Over the next 12 months Nokia plans to bring up to 10 new Symbian-based smartphones to market. 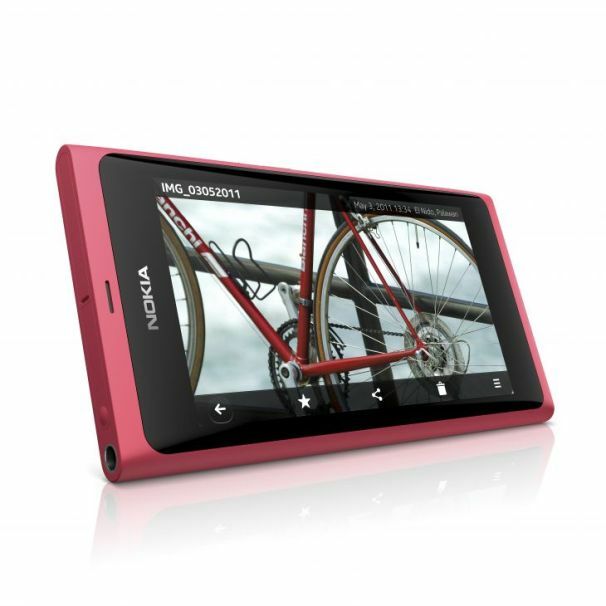 Nokia designed the N9 as an "all screen" phone with a 3.9 inch display that covers most of the front side of the device. No home button is built on to it. Instead, users navigate back to the home view by simply swiping across the edge of the phone's screen. People want more screen on their phone, and want to be able to use their phones when on the move, said Marko Ahtisaari, Nokia's senior vice president for design. That requires the phone to offer better one-handed use, and the ability to view all information at a glance of the phone, he added. The N9 features an 8-megapixel camera. It also uses near-field communication technology. During Tuesday's demo Ahtisaari showed that the device can easily synchronize with a Bluetooth headset, simply by having the phone touch the earphones. The phone will come in three colors: black, cyan and magenta. There will be two versions available with storage at 16GB and 64GB. The design of the N9 will be carried forward to other smartphones from Nokia, Elop said.